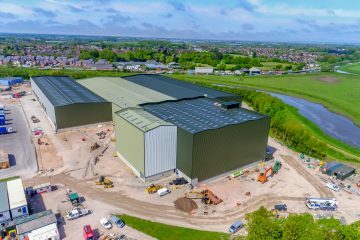 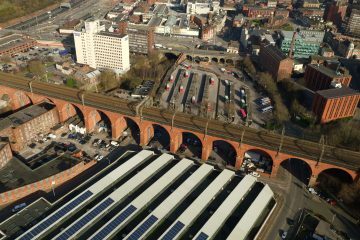 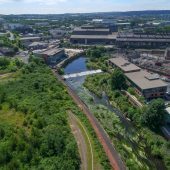 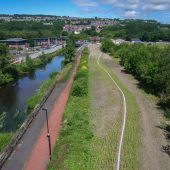 Hopgrove Productions were contacted by the UK’s Environment Agency to complete Drone Aerial Photography in Sheffield, combining Aerial Filming and Photography for a construction project Survey. 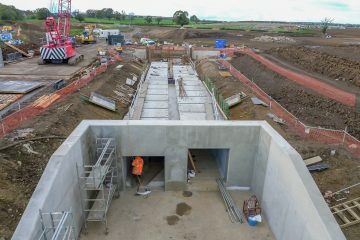 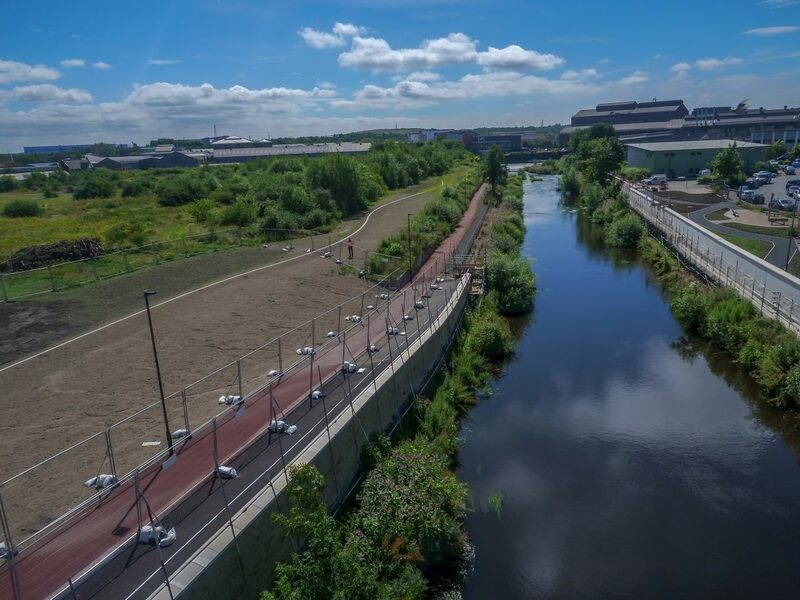 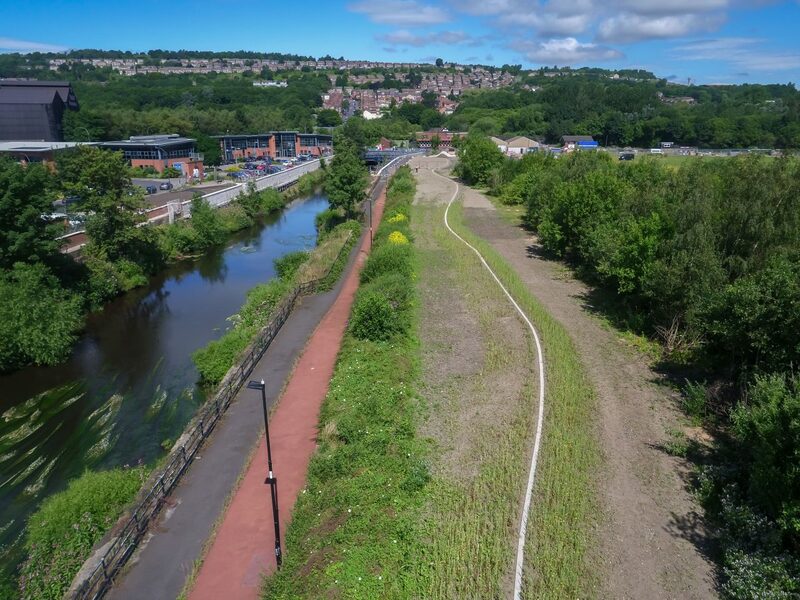 The Environment Agency was working with Sheffield City Council and the Sheffield Chamber of Commerce on a critical flood defence scheme along the River Don. 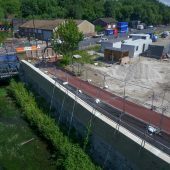 The flood defences are fundamental to protect over 500 businesses and jobs in the Sheffield area. 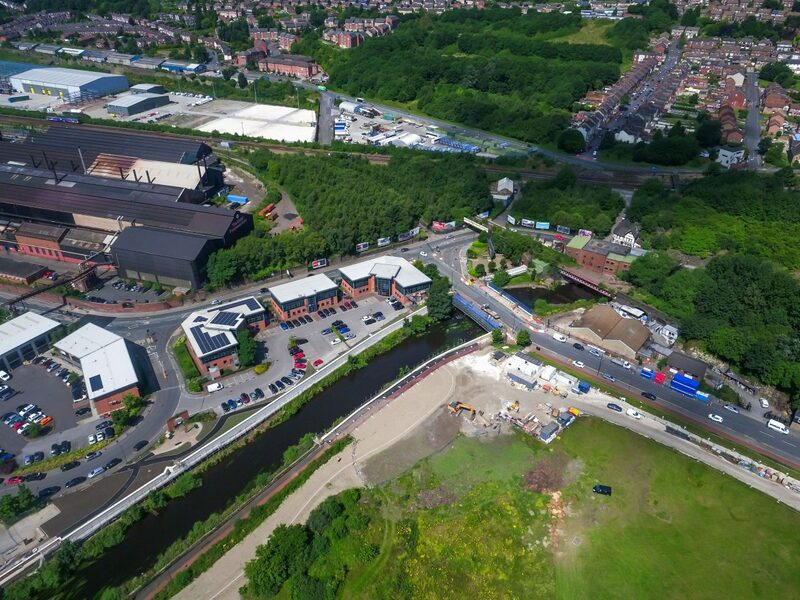 Hopgrove Productions conducted monthly site visits to provide updates on site progress. 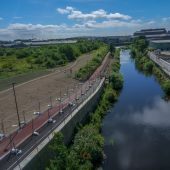 The HD video and high resolution images that we capture produce extremely detailed information for site surveying and inspection. 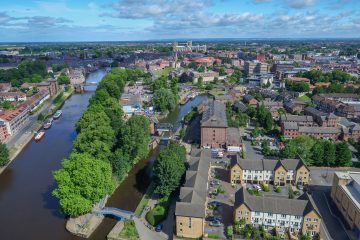 Our CAA approved pilots used our latest drone systems to safely capture information from above water and close to infrastructure. 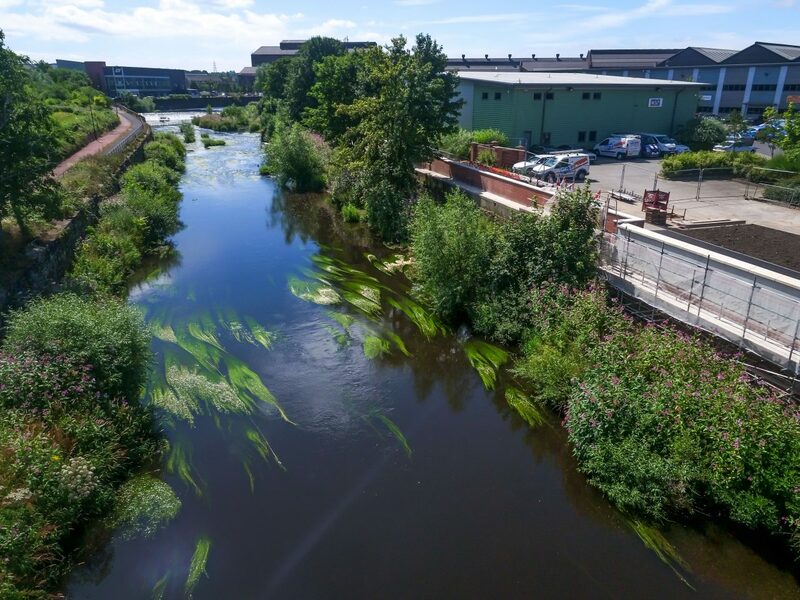 The site survey and inspection drone filming and photography work we are completing at Sheffield forms an addition to similar projects we are conducting for the Environment Agency in York, Skipton, Hull and Catterick. 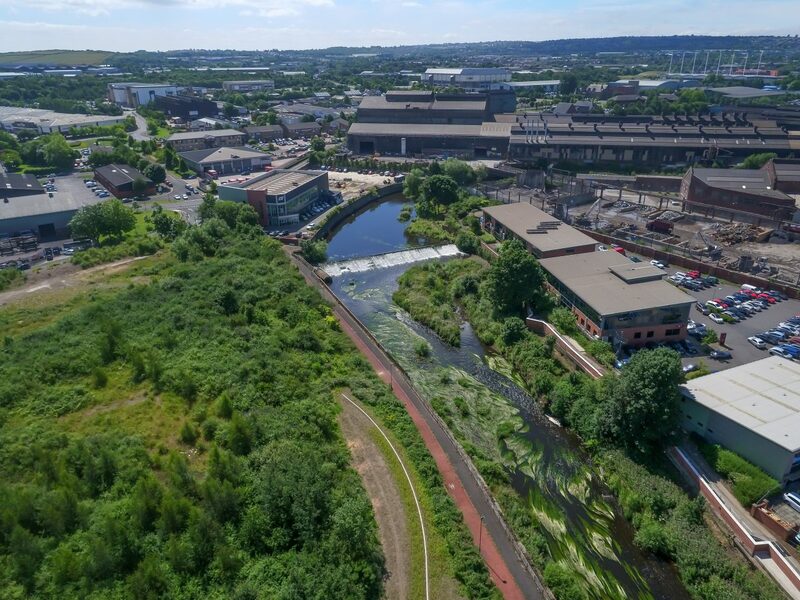 When filming in Sheffield, we use drone systems and support technology from the market leaders in the drone and aerial filming industry. 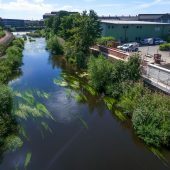 The DJI Inspire drones have quiet, vibration free brushless electric motors to enable unobtrusive filming with battery technology that allows practical and effective flight times. 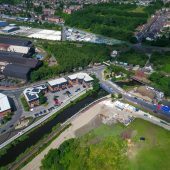 Because Hopgrove are fully certified by the Civil Aviation Authority for commercial drone filming hire work in Sheffield and surrounding Yorkshire area, we are able to film from the air with all of the required permissions in place and ensure we are always legally compliant on site. 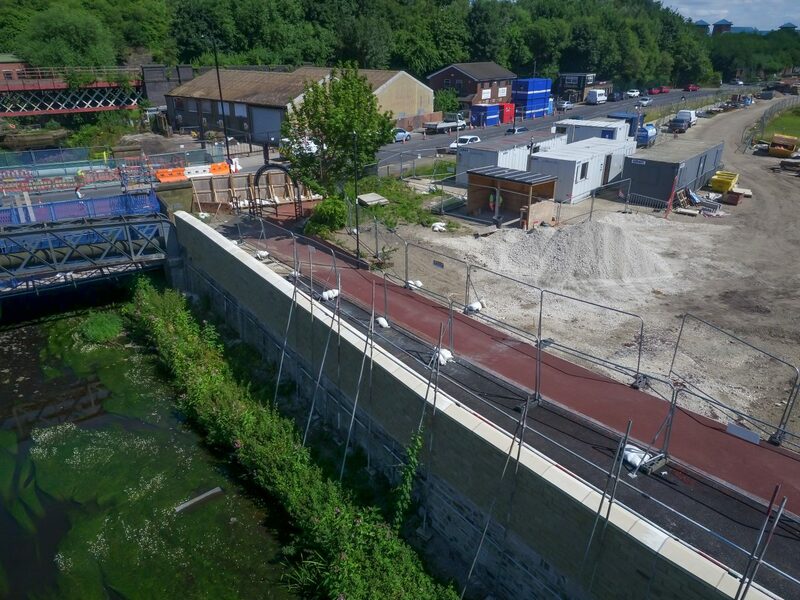 Together with the £5 million public liability insurance we carry and the CSCS construction site certification for site safety, we were able to film alongside The Environment Agency teams as they went about their work.